When the Lord said “in your patience possess ye your souls”, he was trying to say you are going to go through some rough times in the great tribulation but you can still maintain walk with me. America might be going down the tubes fast. You may not go through the great tribulation as a Christian but is your walk strong enough with the Lord to withstand the trials and tribulation that may occur. Your soul is the only thing your are keeping from this life. That is why it is so important that we invest in eternity. Patients is a vital Christian virtue. As a Christian, sometimes you just need to plod on. You need to stay with it even when it seems like the Lord is not in sight. Job had to go through a rather long trial where it seemed like God was nowhere to be found. It could have been a year or two. Are you patient enough to wait on God even if it is a lifetime before deliverance comes? That is the extreme case. For the most part our trials in this life eventually “come to pass.” Patient possession of your soul does not mean we own our soul and need to have control of it. Obviously the Lord bought your soul with his blood when you asked him to save you. This is talking about a watchfulness over the soul. When you own something valuable, you are very careful to protect it and maintain it. You do not rush with cleaning it or repairing it. You are patient and meticulous about how you take care of it. As Christians we should be meticulous about our walk with God. We should be patient with our growth. We need to be constantly checking up on ourselves and working on our sanctification all day long but especially in the morning and if time allows in the evening before retiring. The picture shows a puzzle. One thing I know about puzzles is they take patience to put together. You have to look for just the right piece to fit in that particular spot. The color mix needs to be just right. 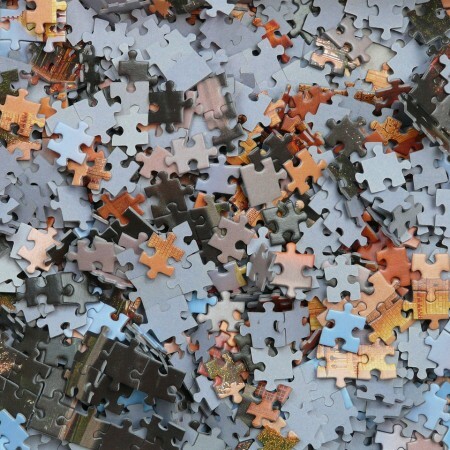 It takes a long time to find just the right piece in a thousand piece puzzle. That is the Christian life. Not all of us grow at light speed. Some of us are slow learners. There are things I probably should have learned a long time ago as a Christian. It is not always rebellion, it is just sometimes you don’t really get things. As a child, you kind of grow up oblivious to the world for the most part. You ride in a car without caring about where you are going, how to get there, or what it takes to drive a car. You suddenly turn 16 and all of the sudden those things become very important. The Christian life is kind of the same way. As you go through the early years, you are probably oblivious to some things are don’t fully understand until there is a need for you to get them. However, by patient and continual growth, you eventually get there. You start to get some things down. The doctrines of the Word of God become more than just things you learn but rather things you experience and live. Try and remain patient with the Lord as he works on you. He is certainly remaining patient and longsuffering with us! He will figure out how to put the puzzle of your life together even if you don’t see where all the pieces fit. God knows your frame and that you are just made out of dust. He knows where you are and what your made of. He is patient with you, why not be patient with yourself and let God work all things together for good in your life.